Senior Israeli official tells Arutz Sheva that in contrast to past admins, US not pressing Israel for concessions or 'gestures' to PA. The United States is no longer pressing the Israeli government to offer concessions or symbolic ‘gestures’ to the Palestinian Authority, a senior Israeli official told Arutz Sheva, marking a stark contrast with past US administrations. For decades, both Republican and Democratic administrations have pressured Israel to relinquish territory in Judea, Samaria, and even Jerusalem for a future Palestinian state. Since the beginning of the Oslo process in 1993, the US has also sought other concessions from Israel to the Palestinian Authority, touching on everything from security and civil control over greater areas of Judea and Samaria, to the release of security prisoners held in Israeli jails, and the removal of Israeli towns built beyond the Green Line. During the Obama administration, the White House demanded unilateral “good-will gestures” from Israel as a pre-condition to talks with the Palestinian Authority, including the freezing of all construction projects in Israel towns in Judea and Samaria. Now, however, says a senior Israeli official, the US has dropped the request for concessions and “gestures” from its dialogue with Israeli leaders regarding final status talks with the PA.
“The Americans aren’t talking about concessions,” the official told Arutz Sheva. In December, the Palestinian Authority declared that it would boycott US-led talks with Israel, following President Trump’s December 6th announcement recognizing Jerusalem as Israel’s capital and vowing to move the US embassy from Tel Aviv to Jerusalem. Since then, the US has taken a piecemeal approach to the region, looking to solve individual humanitarian and economic problems in Judea, Samaria, and Gaza outside of the context of a comprehensive final status agreement. 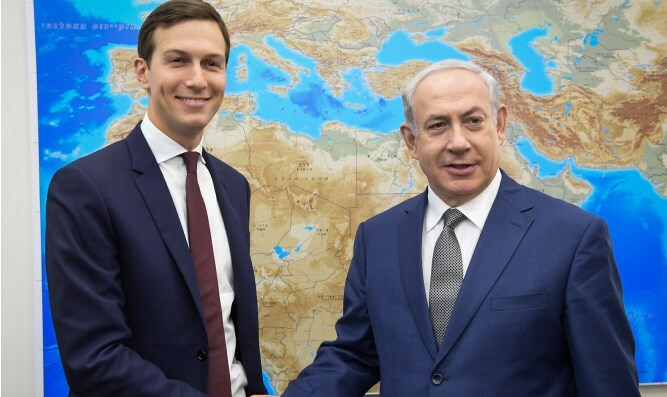 According to the senior Israeli official, for example, the US has worked closely with Israeli leaders in an effort to improve the living conditions of Gazans in the Hamas-ruled enclave.